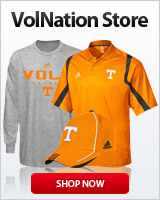 In our TVols Tailgating, Visitor and Gathering Guide Forum you can discuss Vols Tailgating, Visitor and Gathering Guide. Any thoughts or commments on parking in C1 by the baseball stadium? Anyone on here from Miami? Lextran Shuttle for UK Game? Vol fans in San Diego? RV Parking - Campus, Coliseum, or ?? Will there be a vol walk for the bowl game? Who's going to the Missouri Game? Wild fires / Smoke update?